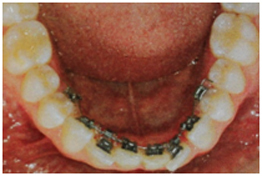 ClearSmile Discreet Brace is a totally invisible lingually placed fixed brace. (The brace is placed on the inside of the teeth). ClearSmile discreet brace uses the highest quality MTM self ligating brackets and aims to treat mild to moderate crowding or spacing cases. 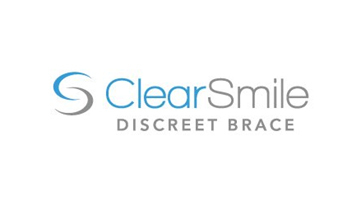 ClearSmile discreet brace focuses on treating the front teeth from canine to canine. It is designed for simple yet controlled movements where aesthetics are essential. Your ClearSmile Discreet Brace journey starts with a consultation and full orthodontic assessment. If your case is suitable, a spacewize+ analysis is done to assist in planning the arch shape and amount of space required. Impressions can then be taken to create an archwize image, which is a simulated 3D digital image showing a predicted finished treatment. The archwize is set up based on the impressions and the spacewize+ analysis. Once approved, the skilled technicians at the ClearSmile laboratory will set up the brackets ready for placement at the braces on appointment with Adam. 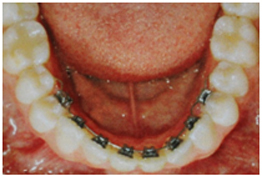 Following the braces on appointment, you will then see Adam every few weeks for adjustments. If you are interested in straightening your teeth with a discreet tooth straightening option, please contact Adam for a consultation.